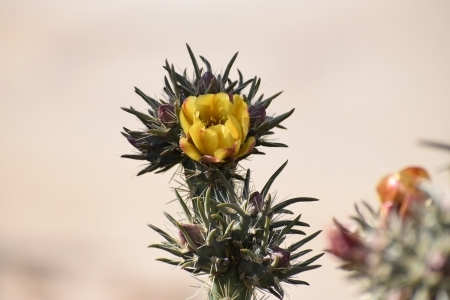 The infamous desert wild flowers have come and gone, but now we are entreated to the cacti of the desert blooming. 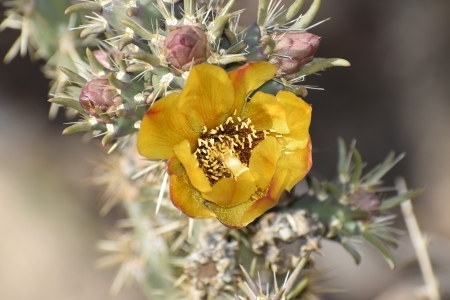 This is a picture of a Buckhorn Cholla Cactus flower. This is just the beginning. 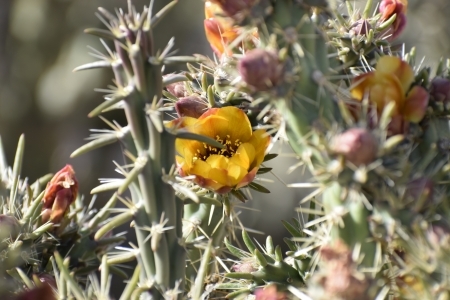 If you look closely at the Saguaro’s you will see flowers starting to bloom on the tops of the cacti. Even the desert has beauty, sometimes you just have to wait for it.